Landmark location in Ingleside historical area. 3BR/2BA, hardwood floors, central HVAC, fenced yard, cabin ambiance. Pet allows not more than 15 lbs at maturity with owner approval and $300 non-refundable pet fee. Owner reserves the right to deny any pet. 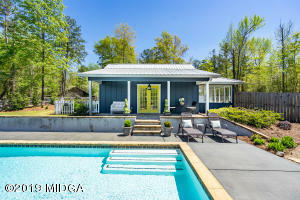 Call agent (Tommy Ngo) at 678-472-6004 to make an appointment for showing. One of the ”Best Investment in this area and All units presently occupied”. The property consist of A 3/2 home with a front porch and two Studio Apartments all with private fence, front and back yards and parking.URGENT REQUEST: Please do not disturb tenants. 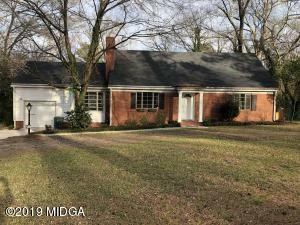 Call the listing agent Virgil Watkins, Jr. @ 478-335-7809 or 478-714-5388 to make an appointment to show. You don’t want to miss out on this adorable newly renovated north macon home! This 4 bedroom 2 bath home is complete with hardwood floors, a family room and a large fenced in back yard. Located right up the road from all the necessities. This is a must see!!!! Idle Hour 5 BR, 3.5 BA, 9 ft ceilings down. Tons of hardwood floors. Huge den opens to kitchen. Fabulous master bedroom closet and bathroom addition. Pool and coverd porch. This sale includes 2 lots behind the house.